« My MBA Blog 2: So what have I learnt so far? Did you have fun during Easter? Were you out and about and enjoying your Easter eggs? Maybe some of you managed to go skiing? Me… I didn’t have the time; I have an MBA to do! On midnight on Good Friday, my MBA cohorts (we call ourselves a cohort, it’s a fancy term for ‘bunch of students’) had a deadline; our first group project was due in. With all of us leading busy lives we decided to get together early on that morning to thrash out the entire body of our coursework, vowing not to leave until it was done. We left at about 8pm. That was a long day. Our coursework was based around using KPIs (Key Performance Indicators) to assess which one of the UK supermarket chains an institutional investor should put their money into. It’s a bit different to deciding if a tooth is hard to extract or not. That’s why I enjoy doing my MBA so much! It’s completely different to what we do mentally as dentists. I know I have been saying it time and time again, but it’s reprogramming my mind and how I think, MBAs are very beneficial for the dental mind! However, having said all that, it isn’t all smiles and slaps on the back. Being used to knowing my stuff, whenever I go into a MBA lecture, I come out thinking… “What just happened, what was that all about?” This is especially true for some of the Economics and Financial Management lectures. It can be an unsettling experience. I guess that’s why for some professionals an MBA can make or break you. The hours that are needed are arduous and that’s even compared to the time studying for my masters’ degrees. I talked about this with the course supervisor and his response was a bit unsettling. To me it felt like the tag line at the end of a really good thriller movie, “If you think this term was difficult, wait until term two – You haven’t seen anything yet Nilesh…” *Queue dramatic music*. nding Individual 2011 and received Highly Commended for Best Dentist South at the 2013 Dental Awards. Nilesh has a master’s degree in Prosthetic Dentistry from the Eastman Dental Institute and a master’s degree in Clinical Implantology from King’s College London. He is one of the few dentists in the UK to have a degree from all three London Dental Schools and has recently obtained his Certificate in Orthodontics from Warwick University. His main area of interest is in dental implants and CEREC CAD/CAM technology. Currently studying for his MBA at Imperial College, London, Nilesh runs a successful seven-surgery practice close to London and is a visiting implant dentist to two central London practices. Nilesh has a never-ending passion for his work and is famed for his attention to detail and his belief that every patient he sees should become a patient for life. 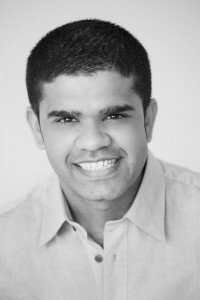 Nilesh was recently voted 18th in the 2014 Dentistry Top 50. He offers training and mentoring to dentists starting out in implant dentistry, more information can be found on his website www.drnileshparmar.com.